Hiring a contractor can be a difficult process, especially when you are looking for someone to help with remodeling your home. Thankfully for you, we have put together a list of great contractors to call when you are thinking about remodeling your home. We also separated the list into which contractor to call for a specific project. Lindross is a full service home remodeling contractor in Tampa Bay. They cover everything from kitchen remodels to bathroom makeovers to complete home renovations. In my opinion, where they really excel is in their kitchen remodels. Lindross provides high quality and affordable cabinetry, flooring, and much more that can put your kitchen remodel over the top. Sunset Properties of Tampa Bay is another full service home remodeler and contractor. This small business is committed to the customer in every step of the project. Their home additions are like no other, you can see three examples of their previous home additions on their website. 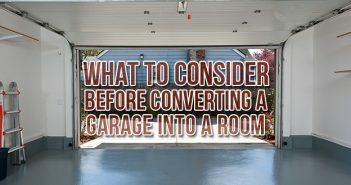 They have the ability to add an extra room or living area above the garage or they can transform a garage into another room. Whatever you have in mind in regards to a home addition, they can help! Greaves construction is another full service professional home remodeler but unlike many other local contractors, they have the expertise to work on historic homes. They offer five different types of home restoration services; seamless additions, whole house restoration, secretary of interior standards, reproduce anything, and ad valorem tax incentives. If you’re looking for a licensed historic restoration company near Tampa Bay, give Greaves a call. As their name leads you to believe, AGS Stone specializes in stone countertops in the greater Tampa Bay area. Whether you want to replace your bathroom countertops or your kitchen countertops, these are the guys to call. They have a broad selection of granite options to choose from on display in their showroom. Their service comes with a 5 year warranty and they are committed to making your countertop dreams a reality. If you plan on remodeling the outside of your home, K and B is the company to call. They have experience with all different types of construction, both residential and commercial but what makes them stand out from the crowd, in my opinion, is their outdoor living areas. They build beautiful outdoor kitchens, swimming pools, walkways, and just about anything else you would want to have outside your home. 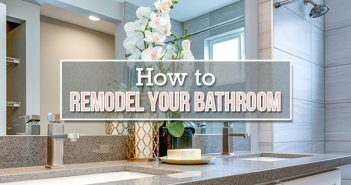 Most professional home remodelers can accomplish almost any type of home remodeling, so if you find a contractor you really like, just ask them what they can do and they have experience doing. 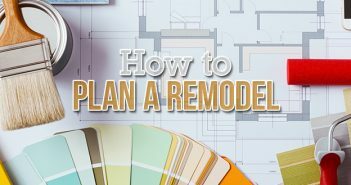 Can you think of a home remodeler in Tampa Bay we should have added to our list? Let us know in the comment section! If you do plan on remodeling your home in the future, give us a call. We can provide you with a cheap Tampa Bay roll-off dumpster that will be perfect for your home remodeling project! Give us a call at 866-284-6164.